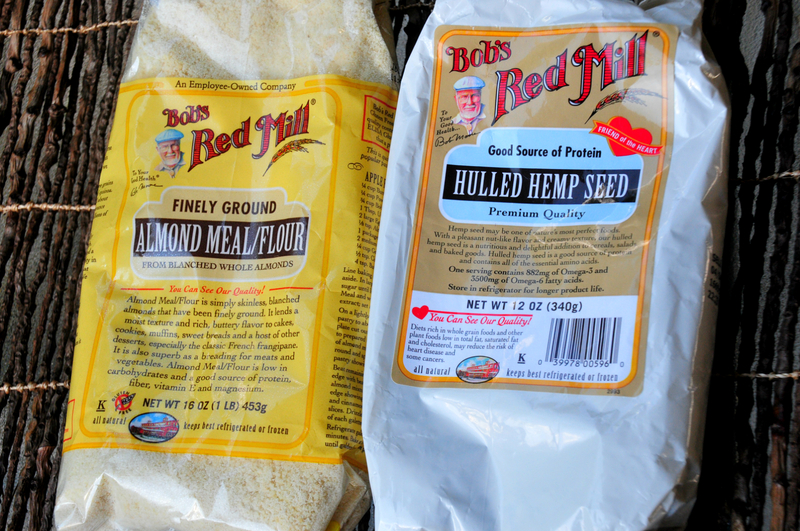 So a couple weeks back the fine people at Bob’s Red Mill sent me a lovely package filled with gluten-free goodies to turn into fantastic recipes. One of the bags was filled with hulled hemp seeds. 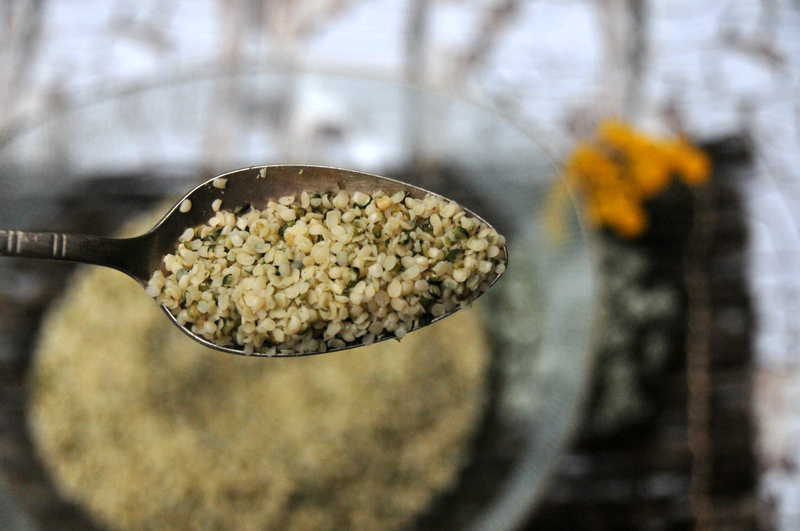 Honestly, I didn’t even know you could eat hemp seeds. I knew you could make itchy jewelry and clothing that looks like burlap sacks….but food? Hemp has commonly been confused with marijuana since the plants belong to the same family. While there are many differences between the hemp and marijuana, the most important is concentration of THC. Hemp has less than 1% of the psychoactive drug (marijuana can contain 20% or more). So, No. This meal won’t get you high, or even make you fail a drug test…but it is delicious. So the first thing I did was open the bag, bury my face in it and inhale deeply (I have a problem with this, and often it happens to be sour milk. Blech!) The hulled hemp seeds smelled vaguely like fresh cut grass. Then, I tasted them…they have the crunch and mouth feel of sesame seeds but taste like fresh sprouts. Very fresh with a nice nutty, sweetness. 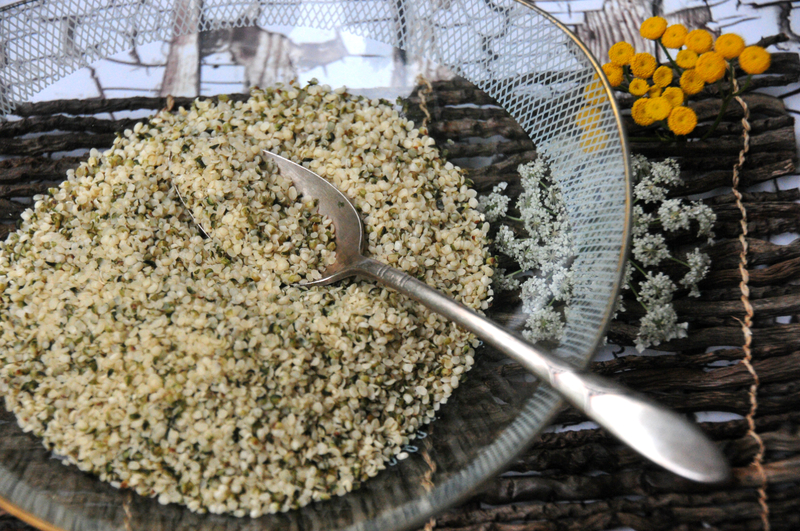 So I looked up a few recipes online to see what in the world people were cooking with hemp seeds. There are lots of recipes that seem…well…not very creative. Basically, they tell you to sprinkle them over a salad or throw a few tablespoons into a smoothie. I wanted something that would showcase the hemp seeds. 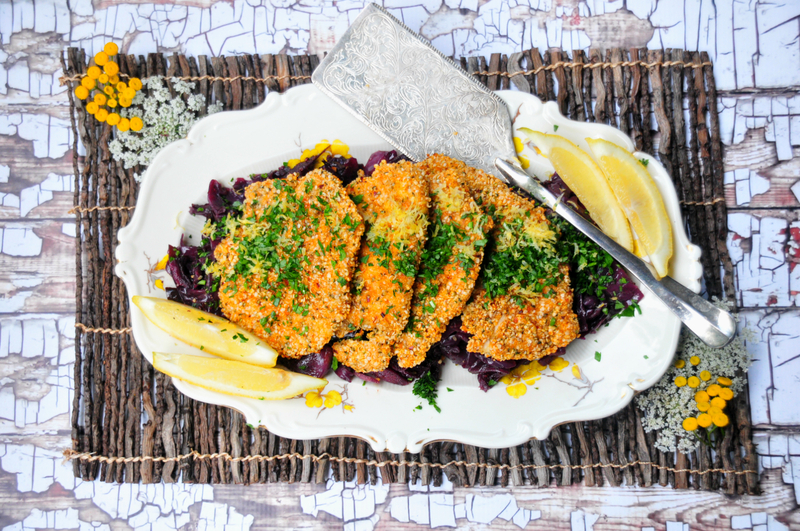 Then I came across a recipe on a blog called Gimme Some Oven for Hemp Crusted Baked Chicken Nuggets and they looked divine! So I glanced in my fridge to see what veggies I wanted to make for dinner and found my giant head of purple cabbage from the farmers market. 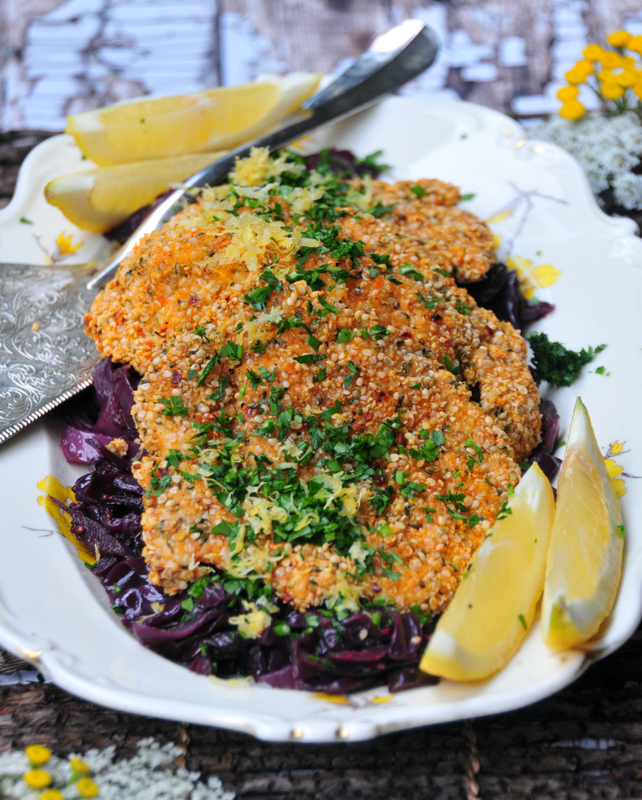 My brain instantly went to Schnitzel & Braised Purple Cabbage, I am in Germany after all! There are only about 8 net carbs per cup of these seeds! That makes them pretty low-carb in my book. One serving (2 tablespoons) also contains 882 mg of Omega-3 and 3500 mg of Omega-6 fatty acids! So this is really a nice item to have around your kitchen for healthy low-carb cooking. Just make sure you store them in the refrigerator or freezer because they can go rancid at room temp. 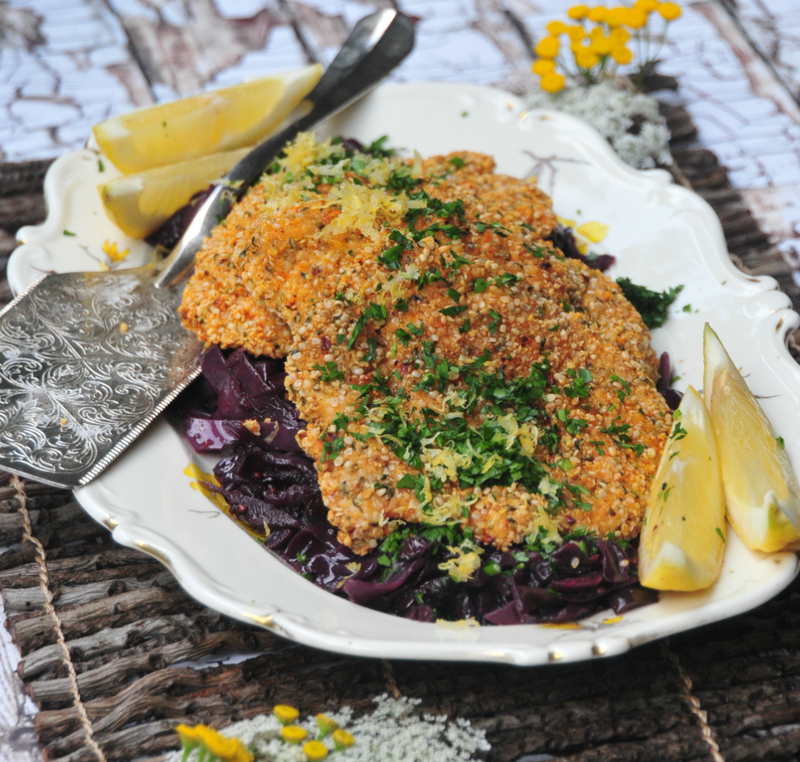 So the key to making a nice schnitzel is cutting your meat thinly and then gently pounding it flat. To me, this is easier when you see it. So here is a video tutorial I found for the same process I used. In a medium-sized bowl, whisk together hemp, ground almonds, garlic powder, paprika, salt, pepper and cayenne until evenly combined. Set up your dipping stations in this order: (1) chicken cutlets (2) whisked eggs (3) hemp breading (4) parchment-lined baking sheet. Dip each chicken cutlet in the eggs until they are completely covered, then give them a little shake to let any extra egg drip off. Add the chicken cutlet to the hemp mixture, and gently toss until the chicken strip is completely covered. 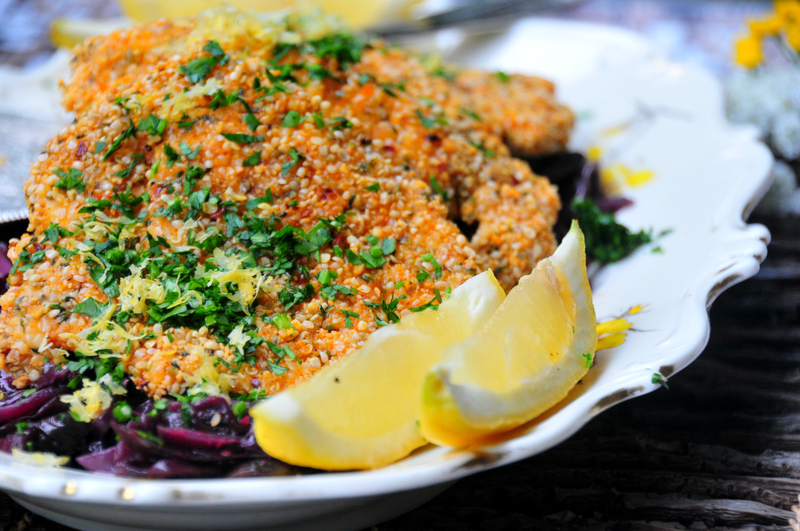 Remove and transfer the chicken cutlet to the baking sheet. Repeat with remaining chicken. 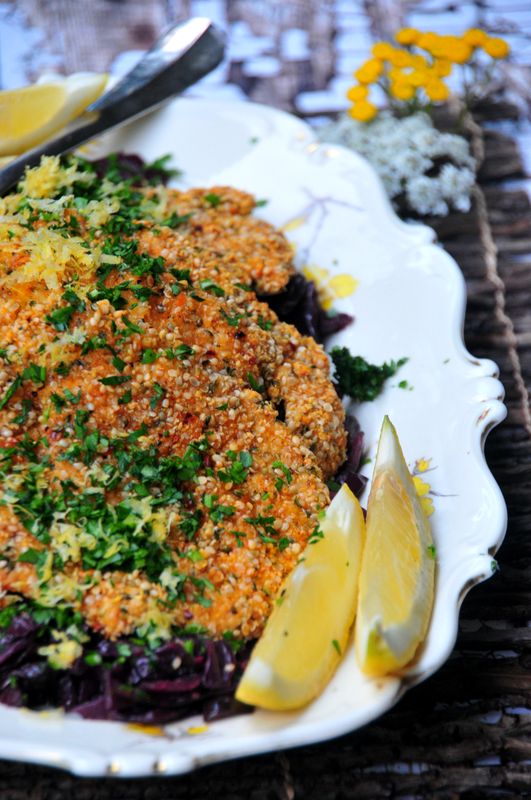 Give the chicken cutlets a good shot of cooking spray so that they are all lightly covered. Then bake for about 20 minutes, turning once halfway through, until the chicken is cooked and no longer pink inside and the breading is golden. Remove and serve warm. Garnish with chopped parsley and lemon zest. 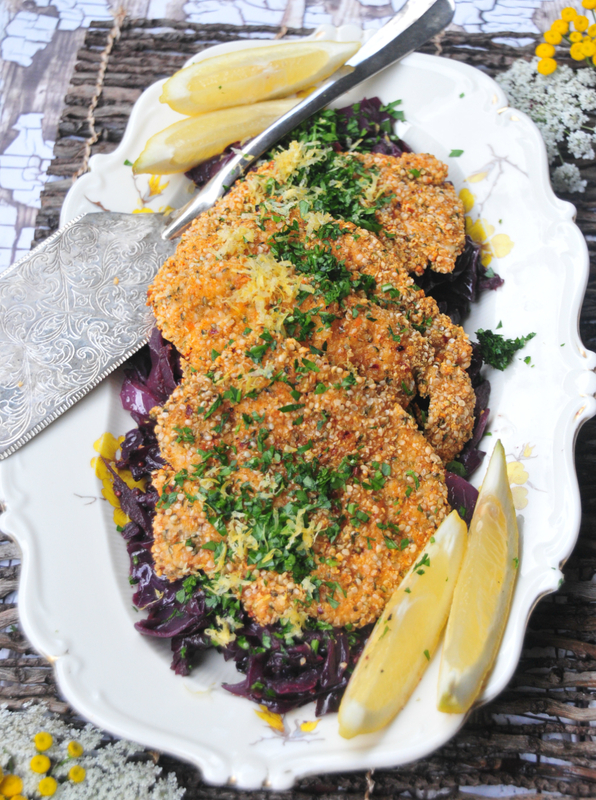 Serve with lemon wedges to squeeze on top!